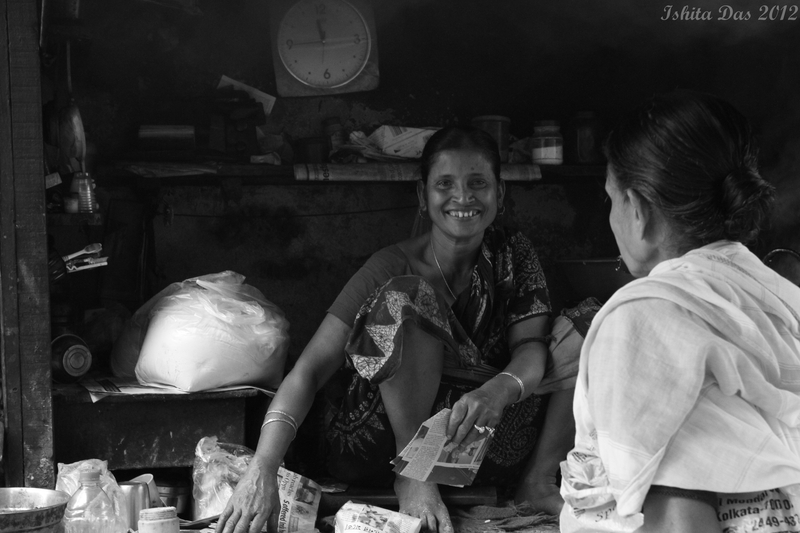 These photos are from India, one from Delhi and the other two from Kolkata. I think in India, people connect to sellers differently. The relationship, however short lived, is much more personal (whether you want it or not), especially in all those little shack shops in every corner in every neighborhood, that sells snacks, tea and such. 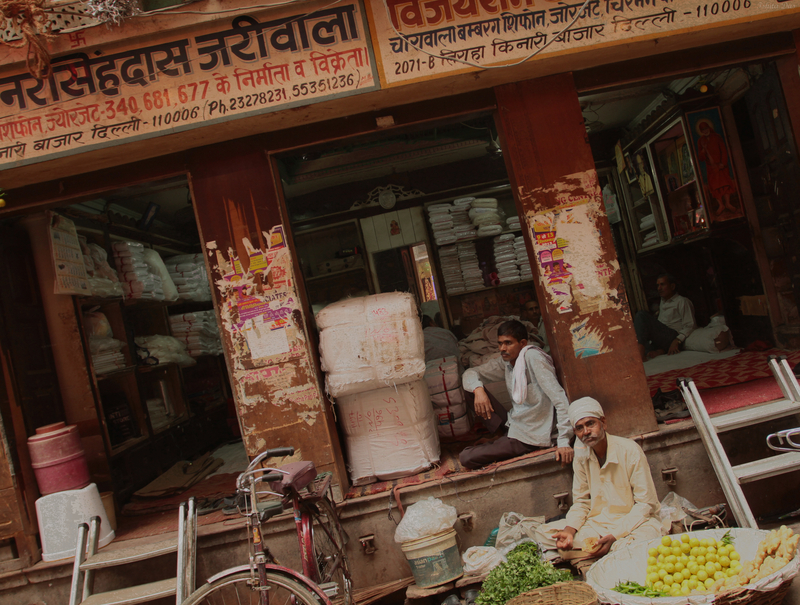 In the first photo, the small shopkeeper selling lemons, and ginger in the front probably pays some rent or has an agreement with the bigger shopkeeper behind to sell things in front. As they all may share clients, for whom they are waiting, waiting to catch an eye, a connection to the next buyer. The second is that of a man, probably only recently familiarized with a cell phone, staying connected, while walking out of one of the oldest coffee shops in Kolkata- Coffee House, as the posters on the wall connect us to the world of student politics and mainstream politics (in Bengali of course). Finally, Gauri the shopkeeper of the little shop in a shack, smiles as she catches me taking her photo, while she is selling her small packets of snacks she makes fresh everyday. That twinkle in her eyes is what made me ask her name, and I still haven’t forgotten it. I had never seen her before and may never see her again, but the connection was true that minute.